Moon Glow … finish quilting the last two borders. Maybe prep the label on the Brother. … I finished quilting but haven’t yet prepped the label. Moon Glow … trim, prep the label, prep the binding. Row 1, block 4 – continue embroidering. Missing Ivy … finish putting the rows together to complete the inner top. Cross Stitch – Welcome project – finish this now that I have the floss. For Bukid, work on the fourth row. Celtic Solstice – Continue to work on Block B as leaders and enders. You plan your week like I plan mine – lots to do. Some weeks it all gets done and some weeks very little gets done. You had a productive week! 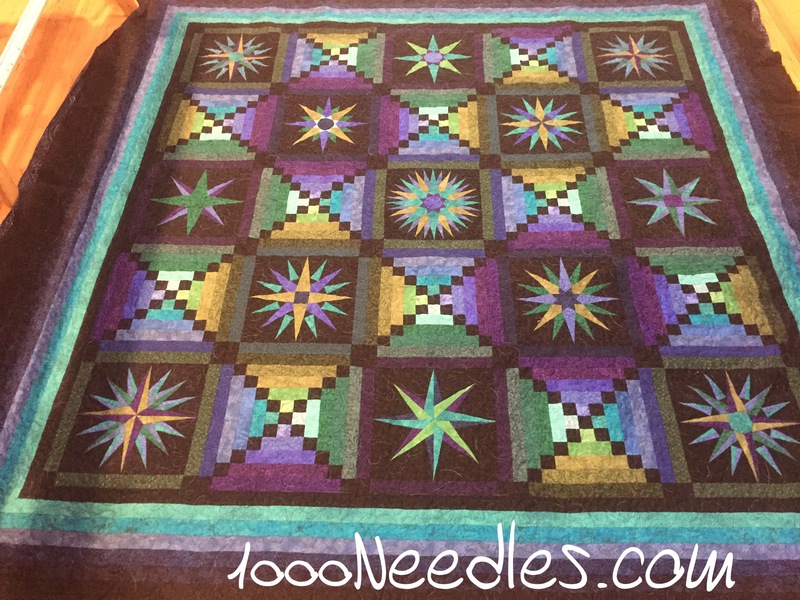 Your Moon Glow quilt looks great! 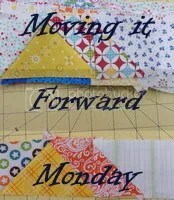 Did you quilt it on a domestic machine or on a long arm? Thanks Rebecca. I quilted the main part of it on a mid arm and then the borders on a domestic. Washed out or not, that is a fabulous picture. For once, I can see where the quilt gets its name, with the glowing yellowish blocks! Good luck this week! I love how your dark background makes the colors pop! Beautiful! The picture looks great in spite of the light. So close to being done. Yahoo! Moon Glow turned out beautifully! 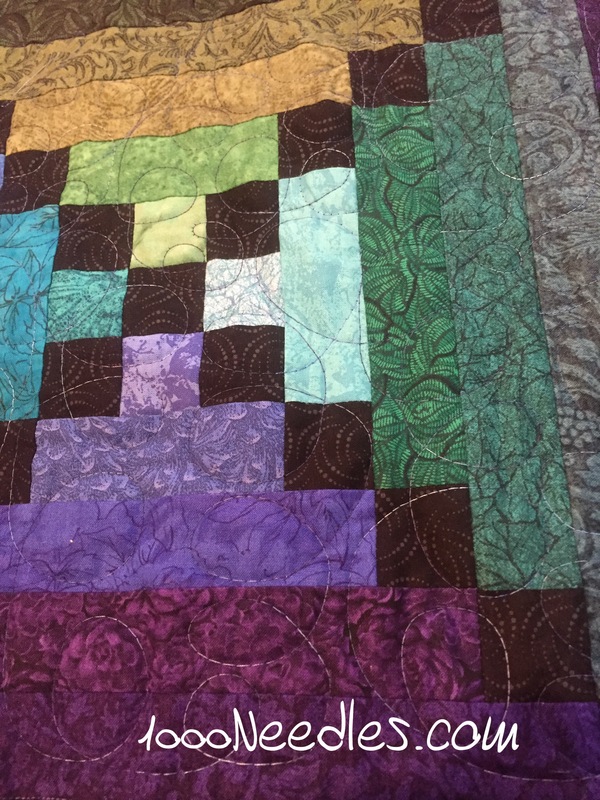 Congrats on getting the quilting finished.